A unique Realm, home to the mysterious Spirit Weapons forged by the gods of Xaeri in ages past. 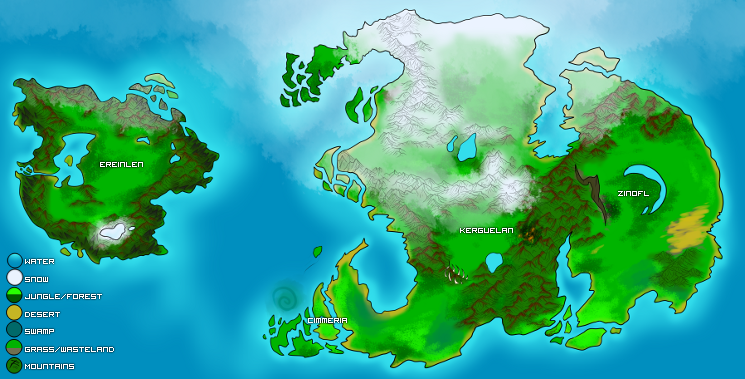 Home Realm of the various xeriin species, and home to numerous saurians, many of whom live and work alongside the xeriin. Xaeri is often called the Ancient Realm, a mysterious place older than most. Much of the Realm is covered in a dense wilderness, and the mysterious Spirit Weapons take the shape of numerous landmarks when dormant. 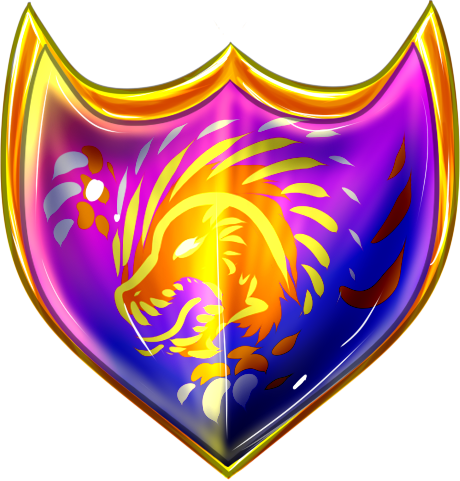 While generally peaceful, the xeriin, and their saurian allies, zealously guard their Realm's secrets. 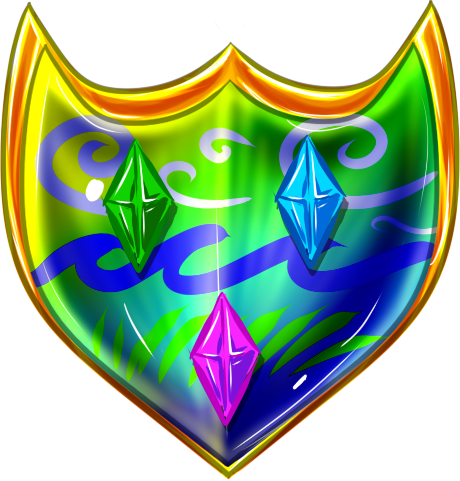 Here is a listing of factions, native species, fauna and flora that can commonly be found in this Realm. Keep in mind, however, that these are not the only things that may be found within Xaeri; different groups may travel, many species can be found abroad, and flora/fauna can be transferred with ease. The great Markers of Xaeri bind the Realm to Evylon, its balance, and to the great Void Hydra. Guardian: Kallan; a trihorned Saurian with the water element. Location: In the midst of a forest of kelp deep under the Scalewish Sea lies the Marker in the secret shrine of Nicaen, which is a living stone-coral temple resembling an Aztec pyramid. Guardian: Kinna; a gryphon-xeriin ghost bound to the Marker upon her death. Location: Inside the icy heart of the mazelike Hollow Mountain in the northwestern Windbrisk Range. Hidden among three replicas before the secret shrine of Naerex, which is a marble replica of the dragon goddess. Guardian: Veolia; an ancient rathar Xeriin. Location: In a quicksand-filled, stalagmite-and-stalactite-blocked cavern beneath the massive, tangled roots of the biggest tree in the Lightgrove Woods. The Marker is located at the deepest part of the cave, before the secret shrine of Rhathor, which is a carved stone obelisk. Guardian: Ellias; a leather-winged Saurian with the element of fire. Location: Lost in the midst of the Nameless Desert; rumored to be haunted by the spirits of Xeriin and saurians that died in the ancient Bloodreign wars. Xaeri Constellations click on the link above to learn about this Realm's constellations! Xaeri’s Veil is quite thick, but its Realm stars are very bright, compared to most other Realms. Constellations in the skies of Xaeri may be eclipsed or overshadowed by other bright stars, and it has become a game among young xeriin to pick out the stars of constellations from other, intruding Realm stars. Stargazing is a common practice among sky-Kin and forest-Kin xeriin, as well as their hidden myth-Kin counterparts in places unknown. The sun of Xaeri is called Fa, a bright golden orb not unlike Felnova’s sun; however, the moon is quite unique, and is called Lu in the xeriin tongue of Lai’sen. It is an odd, bright and gleaming blue color, shimmering brightly down upon the Realm. It is unusual to note that Lu does not have phases, and seems to emit its own light much like Kurai’s Chi’mun, though not nearly as strong as Fa. Xaeri’s space is expansive, with large and bright stars and swirling dark blue energy in the form of beautiful, slow-moving nebulae. 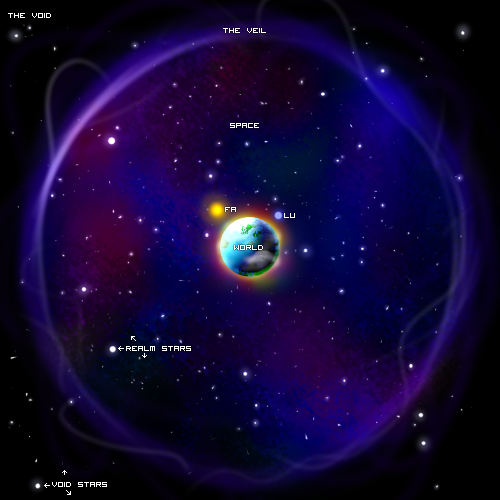 Energy is not abundant in a nebula, however; most energy is drawn into the stars themselves, making them bright and strong, glittering from great distances across the Sphere. The vast wilderness of Xaeri is home to many different plants, from towering trees and dense shrubs, to beautiful flowers and exotic herbs. While many xeriin, particularly those who dwell in permanent settlements, grow herbs in gardens, many of the more exotic ones can only be found in the wild. commonly found;; Most common are trees and plants found in temperate climates, together with a large variety of herbs found growing in forests or on hillsides. rarely found;; Tropical plants and plants indigenous to colder climates are less common, but they can be found in more remote regions by those who know where to look. 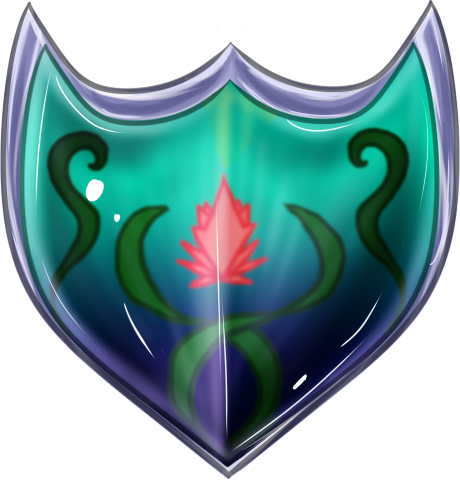 doesn't exist;; Aside from those plants native to Kurai, all plants found in the Realms can be found on Xaeri. Xaeri's primary specialties are their abundance of herbs, along with crafted goods made from the Realm's abundant natural resources. Trinkets and practical goods carved from wood and bone, pottery of various shapes and sizes, candles, baskets woven from vines, and such like are very common. Less common are metal goods of any kind, as the xeriin mine as little as possible, and save most of what they do mine for their own use. The xeriin worship Naerex, Nicaen, and Rhathor, primarily each according to which deity is patron over their particular lineage, although all three are honored. Large temples are rare, if not non-existent, with smaller shrines established in places befitting the god they honor being preferred. The saurians tend to honor the gods, but tend to hold Xaeri itself in just as high a regard. Most xeriin accept this without issue. The different xeriin countries generally get along just fine with one another, with cross-border travel happening all the time. Furthermore, they tend to cooperate in the face of any difficulties which may arise, such as famine or plague. They share a strong bond with the saurians, and it's a common sight to see saurians and xeriin living and working alongside one another, either in remote settlements or in the cities themselves. The one exception to this peaceful acceptance is in regards to the rare Myth-kin xeriin, which are either ostracized or hunted down and killed by their more common fellows, as they are believed to be a cursed people. This prejudice has led the Myth-kin to settle their own land, far removed from the rest of Xaeri, in an attempt to live in peace. The xeriin maintain relatively small active militaries, and these primarily use bows where possible, and spears where close-quarters fighting might be necessary, as engaging in pitched battle is something they seek to avoid, by and large. However, most xeriin are taught to defend themselves, and militias can be called up in times of war to help defend their homes.